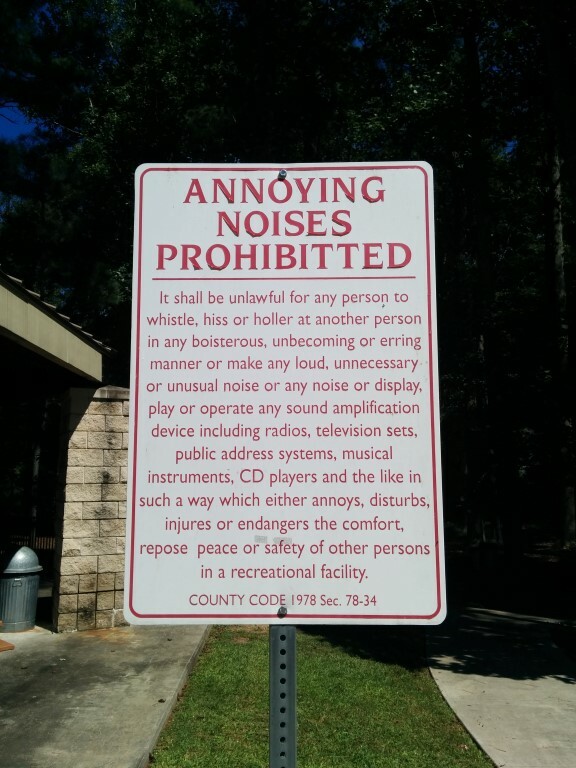 There is a sign at a local park that says “Annoying Noises Prohibited.” I took a picture of it because it seemed so silly. I mean, who decides what’s annoying? And how do you enforce such a crazy law? If I bring a baby to the park and it cries, would the police come haul the poor kid off to jail? Are the cars roaring past on the nearby highway breaking the law? They are certainly making an annoying noise to me. Maybe I am just getting old and grumpy, but it seems like there are a lot of noises that annoy me these days. The traffic noise, the background “music” that plays where I eat lunch, refrigerator motors and A/C compressors humming, machines groaning, beeping and clacking, cell phones ringing, people yelling to be heard above the noise . . . there is noise everywhere. Why does it have to be so? Since when did people become so afraid of silence? Perhaps it’s not really that they are afraid of what they won’t hear in the silence, but what they will hear. For many, the noise is just a cover up. A distraction. A constant overpowering and drowning out of an unknown sound or a still small voice. Maybe what they fear most is not the silence, but what they might hear in it. You can turn up the TV to cover the creaking noises in the house late at night. You can plug in your ear buds and crank up the iPod music to drown out the voices. But know this: Even though you can’t hear it, the house is still creaking. And that voice . . . it’s still there . . . waiting to be heard.